Those invited to the event are MFA alums, yearlong workshop students, past and present instructors and staff, artists-in-residence, and board members. 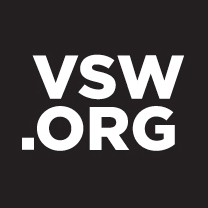 Your registration includes all of the events below as well as a yearlong membership to VSW. If you are already a member, your membership will be extended one year past its date for renewal. The registration includes one guest. If you have additional guests or family members (such as children) you wish to include in the registration, please contact us. 12pm, Nathan Lyons and Visual Literacy panel at GEM’s Dryden Theater with A.